You are working on a killer piece of content and you know that it’s quite possibly the best thing you have ever created. It’s a must-see for anyone in your industry. No one in the industry is sharing your content. Especially the leaders with an established following. You could harass industry influencers endlessly day and night that you want to share your content. Basically doing everything short of showing up at their front door. But you know that’s not going to work out in your favor and you might end up with a restraining order. You can take a more subtle approach to get noticed by the influencer without looking like a stalker. Sounds like a much better approach, doesn’t it? It’s no secret that most industry influencers not only have a large reach, but also a core audience that you more than likely want to target. This is commonly known as influencer marketing. And guess who can help spread the word for you? But you and I both know that you can’t simply contact an influencer and have them share your content or link. It simply doesn’t work like that. Instead, it takes a little bit of relationship building and some luck. Look, just about every industry has influencers. It’s up to you to find them and start building those relationships. 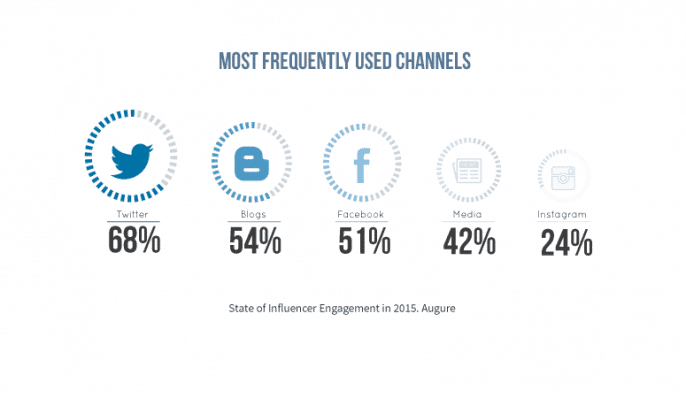 Before we jump into a few ways to find top influencers, let’s take a look at the most frequently used social media channels for influencer marketing. According to LaunchMetrics, 68% of professionals surveyed indicated that Twitter is most often for influencer marketing. You’ll notice Facebook is listed third, while Instagram is shown fifth. I’d imagine Instgram and even Snapchat moving up should another survey be performed. Now that we know that Twitter is one of the top sites for influencer marketing, let’s see how we can find influencers. 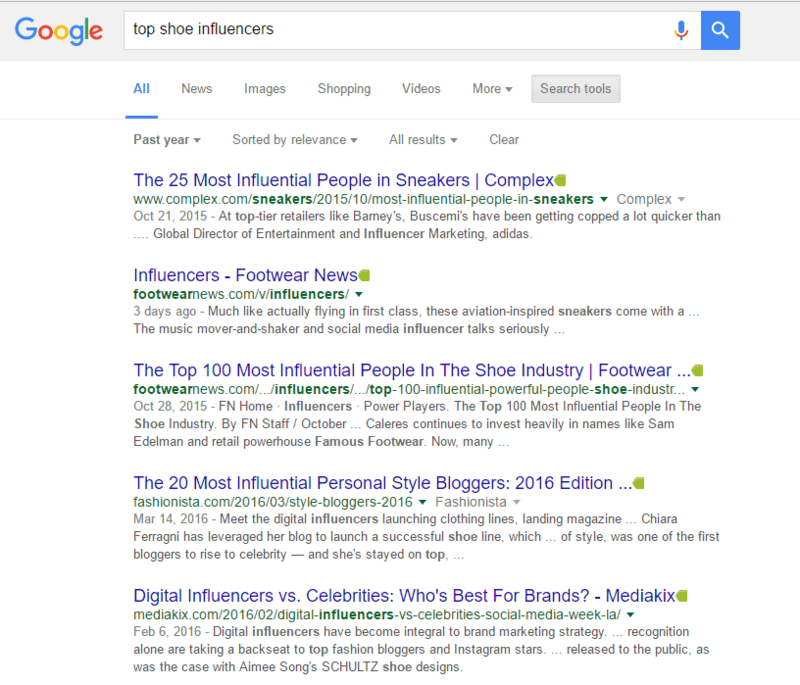 One of the first places you can check for influencers is Google. I know, it’s obvious – but I didn’t want this to get overlooked. [PRO -Tip] Change your search settings to show the past year of results. You don’t want to look at an out of date list of influencers! Now, if you are just interested in finding the top influencers on Twitter, then it’s a no-brainer to use Twitter’s search. For the most part, you can just type in your search and then click the “Accounts” tab. Then all you need to do is go through the results and identify which Twitter accounts are truly influencers. Of course, just because someone says that they are an influencer, doesn’t necessarily mean that they are. So you’ll want to take a look at their tweets and make sure that they have an engaging audience for their tweets. 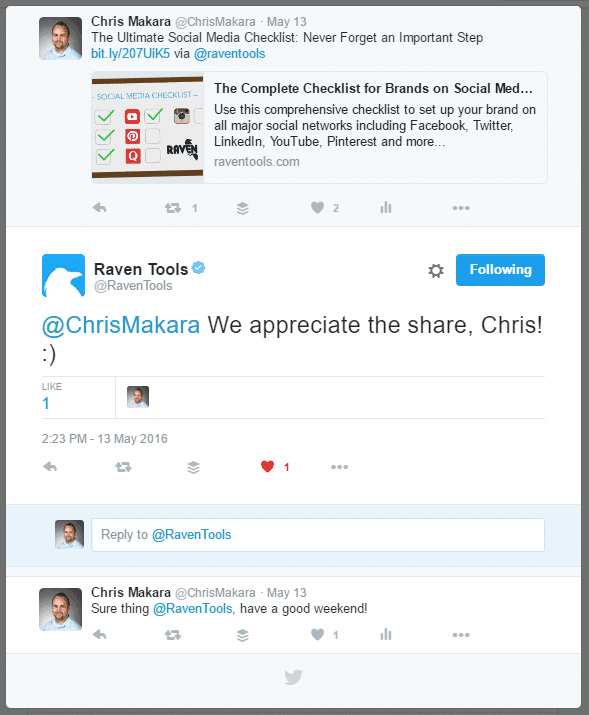 Save your results in your spreadsheet where you might want to organize your Twitter influencers by topic. I’ll show you later how to reach out to this list of Twitter influencers. Similar to using Google search, you can use Google News to find influencers. However, instead of looking for lists of influencers you can look for interviews with influencers. For example, if you head over to Google News and search for “[keyword] expert interview” you can turn up some nice results showcases various experts. 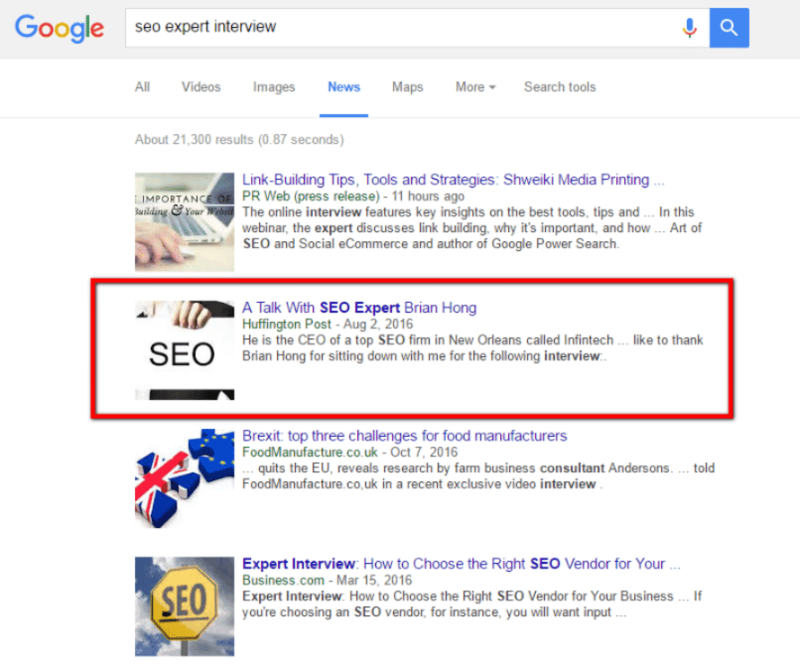 Another search query you can use to find experts is “[keyword] guest interview”. As you identify influencers, be sure to add their info to a spreadsheet. While Klout may just be one of many vanity metrics, it doesn’t mean that it’s not a good source for finding influencers for a certain topic. So, head on over to Klout and login. Once you have logged in, you can explore topics to find experts for that topic. For example, let’s say I wanted to find influencers around “analytics”. In Klout’s search bar, type in your phrase and then select the topic once it appears. You’ll then see a list of results showing that topic. No need to pay attention to those, the info you want will be shown in the right column – experts for this field. Simply visit each expert and if it makes sense, add them to your list of influencers you want to build relationships with. Now that you have found a group of top influencers, what can you do to get them to notice you? Chances are that you won’t have had previous contact with many of these influencers. Even if you did, would they remember you? So what can you do to get noticed by them? One way is to constantly bombard them with emails, @ replies, etc. But you are more likely to get blocked and kill off any chance at a relationship before it even started. Why not take a more subtle approach? It’s no secret that most influencers like being influencers. What I mean is that they enjoy it when others share their stuff. It helps to validate that they are in fact “influential”. So in order to get on their radar, you are going to help with their influencer validation. I know you are probably thinking, that’s not much insight. And you’re right. When you know who your influencers are and more importantly where they blog, you can easily share their own content. Remember that spreadsheet you used to document these influencers? I’m going to show you how to build it out so that you can automate the sharing of their content without appearing like a stalker. As I mentioned, you could easily visit their blog and share their content. But this is such a tedious and manual approach. Instead, let’s use a bit of automation to up your game. Open up your spreadsheet of influencers. Let’s say that Column A has the Twitter names of the influencers you identified. So in Column B, we want to find out the RSS URL of their blog (find out why you have been using RSS feeds for social updates incorrectly). Not sure what an RSS URL is? It’s basically a not so fancy way to format content so that it can easily be read by different software or devices. What you will need to do is visit the URL of their blog and find the RSS feed URL for it. Typically, you can find their blog URL by visiting their Twitter profile. Most of the time (especially if they are using WordPress), the URL will be something like http://site.com/feed – so for Bulkly it is https://bulk.ly/feed. Or if you aren’t into playing the guessing game, you can try this nifty Chrome Extension. Once you have found the URL, put it in Column B. Next, let’s identify some hashtags to use that would describe the content from this feed. You may have noticed that Column D called for a Twitter handle. This is important to note in that when these updated get automated, you will be automatically tagging the user when you share their content. Then once it’s been tweeted, they will get notified that you shared their content. Before we move to the next step, there are three things you need to do. Buffer is a social media scheduling platform that allows you to schedule posts on your social accounts. Bulkly automates the process of manually adding content to your Buffer account. If you don’t already have a Bulkly account, you will need to create one. Want to automatically share the top influencers content? Be the first to know when Bulkly is ready Click here to be notified. Once your accounts are created, you can setup your automation in Bulkly. It’s a 3 step process. The first thing you will need to is from your dashboard click on “RSS Automation”. 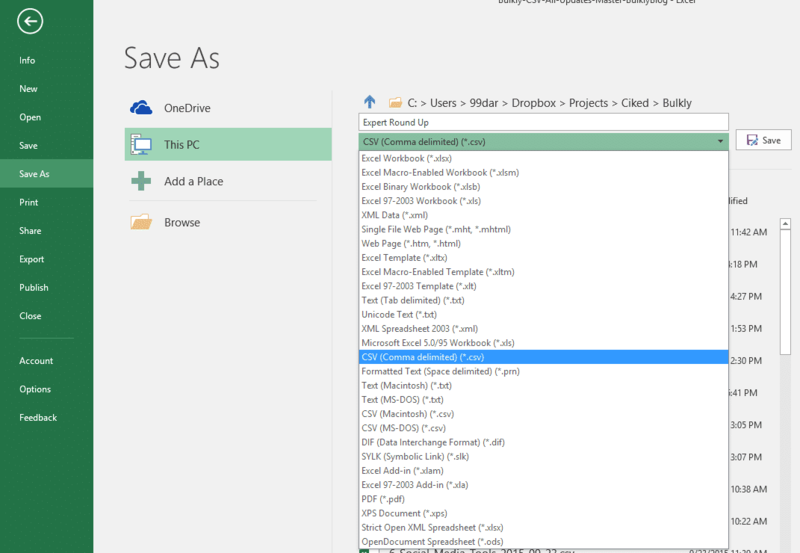 From here, click on “Upload RSS Feeds” and locate the CSV file you created. Within a few seconds, you will be taken to your “Pending” tab where you will see all of your Excel data imported. Remember how you used “Influencers” in Column A? Well this is the name of the group of RSS URLs loaded in Bulkly. Groups are an easy way to organize different types of social updates. The second step is that you will choose the settings of your group. Across the top you will see the various settings you can configure. “Times” dropdown – choosing a number here will tell Bulkly how many times to send an update to your Buffer queue. So if you selected “daily” and “3”, then Bulkly will send 3 updates to Buffer a day. About 1 every 8 hours. In the case of influencer outreach, you want to be cautious as to how often you share their content. So if you only have a handful of influencers loaded into Bulkly, you will want to post less often. But if you have 30-40+ influencers then you can post more often in that Bulky will have more content to choose from to share and not the same thing over and over again. Lastly, you will need to select which social media accounts you want these updates added to in Buffer. What Bulkly will do is visit the feed URL of one of the feeds and grab a piece of content at the interval you select and add it to your Buffer account. This saves you the hassle of manually doing this over and over again. Once you have selected your settings, click on the “Activate” button. And within a few hours (depending on your settings), you will start to see content of your influencers added into your Buffer queue. Then, when it’s time to get posted you will see it on your social media account. Over time, some of the influencers will take note and engage with your tweets. Winner, winner; chicken dinner. That’s one way how to reach out to influencers on Twitter. It’s surprisingly easy to use automation to offload some of the dirty work of influencer outreach. And it does work. With smart social media automation you can save hours of time and even open up new doors when done properly. The use of automation will simply crack the door open for you. 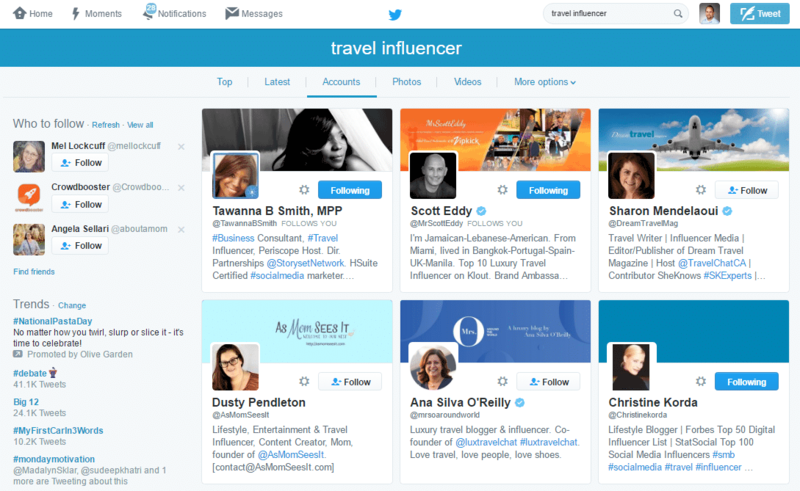 However, it’s up to you to follow up and interact with these influencers. Otherwise, your automation efforts will go to waste. Do you plan on using this approach to expand your reach to influencers and get noticed?